Wood Accessories? Yup! They're a thing! | Summer Must Have! Looks like we are back to sunny skies and 80 degree weather in Miami. For the last couple of weeks we've been having cold fronts one day and hot weather the next, oddest thing! Anyway, warm weather means cute spring/summer looks! I wanted to share with you all the newest accessory to hit my wardrobe. Now, before we get to this look, I wanted to thank JORD for sending me my new beauty. Please keep in mind that all opinions are my own and I would not stand with a brand I did not personally like or believe in. Now, back to my look! I went ahead and selected something different than what I normally own or wear around my wrist. I like to wear a lot of gold small watches just because they are very classy looking and don't over power my small wrist. When I saw that JORD carried that similar style I automatically knew I had to have it! Please keep reading, there's a fun little giveaway at the end of this post! I went with the Cassia Olive & Aegean Blue watch. It was very tough to pick just one since I am in love with the whole Cassia Series! From the seamless sapphire crystal glass, roman numbers, olive wood, and metal/wood links that hold this bad boy together. He fit right in with my look down below. Fun fact: I was visiting the new ZARA downtown and was doing a little shopping. While browsing through the racks I got not one but three compliments on my watch and style! Then while at the cashier the ZARA employee asked me where I got this gem! Did you know that you can have your watch engraved? No? Well, now you do! This is such a fun little feature if you wish to give one as a gift. Engraving special meanings into your watch tie the whole piece together and it just makes it much more special. Think about it, walking down the street wearing your JORD wooden watch and no one else has this specific one, just you. You can add this feature at checkout. 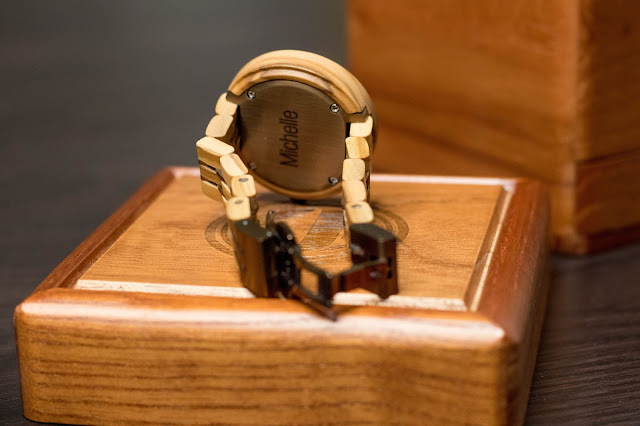 To learn more about the wooden watch engraving detail, head over to this link for the scoop! Now, let's get down to the nitty gritty! 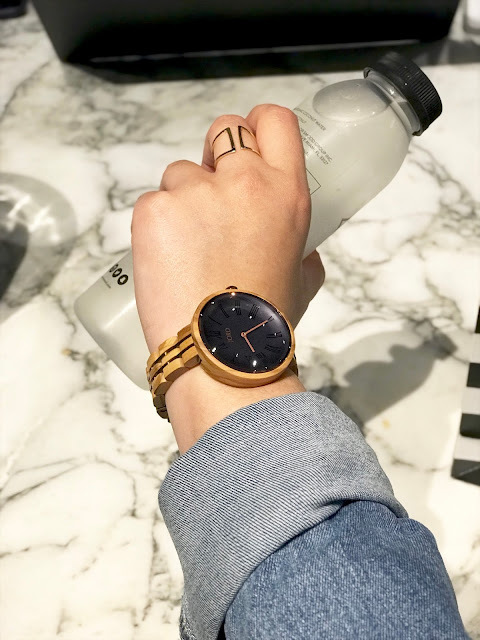 Did you think I would make your mouths water with my new JORD Wooden Watch and not give you guys the opportunity to have your own?! Well, I actually teamed up with JORD for a fun little giveaway. 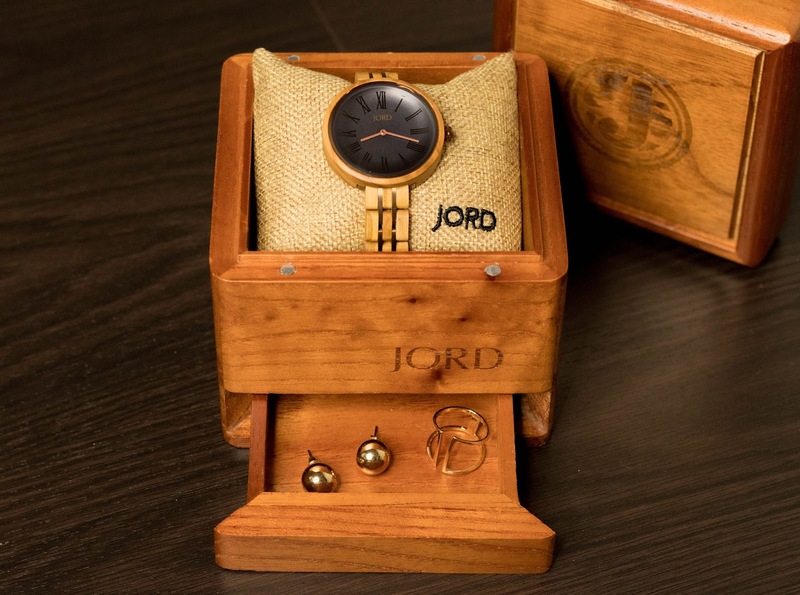 JORD is giving you guys the goods and hooking you up with a $100.00 credit towards your own wooden watch! Here's the best part, even if you do not win this giveaway, it's ok! They are giving everyone who enters a 10% off coupon. My giveaway is running until April 1, 2018! Head over to https://www.woodwatches.com/g/zavalagal and check it out! Please keep in mind that you will have until April 15, 2018 at 11:59 P.M. to claim your prizes! That is the $100.00 gift and 10% off coupon!